Health Insurance Employee Benefits - Vermillion Financial Advisors, Inc.
A traditional indemnity plan, or fee for service. Employees choose their medical care provider; the insurance company either pays the provider directly or reimburses employees for covered amounts. Managed care. The two most common forms of managed care are the Health Maintenance Organization (HMO) and the Preferred Provider Organization (PPO). An HMO is essentially a prepaid health-care arrangement, where employees must use doctors employed by or under contract to the HMO and hospitals approved by the HMO. Under a PPO, the insurance company negotiates discounts with the physicians and the hospitals. Employees choose doctors from an approved list, then usually pay a set amount per office visit (typically $10 to $25); the insurance company pays the rest. Self-insurance. When you absorb all or a significant portion of a risk, you are essentially self-insuring. An outside company usually handles the paperwork, you pay the claims and sometimes employees help pay premiums. The benefits include greater control of the plan design, customized reporting procedures and cash-flow advantages. The drawback is that you are liable for claims, but you can limit liability with “stop loss” insurance–if a claim exceeds a certain dollar amount, the insurance company pays it. Archer Medical Savings Account : Under this program, an employee of a small employer (50 or fewer employees) or a self-employed person can set up an Archer MSA to help pay health-care expenses. The accounts are set up with a U.S. financial institution and allow you to save money exclusively for medical expenses. When used in conjunction with a high-deductible insurance policy, accounts are funded with employee’s pretax dollars. Under the Archer MSA program, disbursements are tax-free if used for approved medical expenses. Unused funds in the account can accumulate indefinitely and earn tax-free interest. Health-savings accounts (HSAs), available as of January 2004, are similar to MSAs but are not restricted to small employers. The rising costs of health insurance have forced some small businesses to cut back on the benefits they offer. Carriers that write policies for small businesses tend to charge very high premiums. Often, they demand extensive medical information about each employee. If anyone in the group has a pre-existing condition, the carrier may refuse to write a policy. Or, if someone in the company becomes seriously ill, the carrier may cancel the policy the next time it comes up for renewal. Further complicating manners, some states are mandating certain health-care benefits so that if an employer offers a plan at all, it has to include certain types of coverage. Employers who can’t afford to comply often have to cut out insurance altogether. The good news: Many states are tying to ease the burden by passing laws that make it easier for small businesses to get health insurance and that prohibit insurance carriers from discriminating against small firms. (MSAs, described above, are in part a response to the problems small businesses face.) 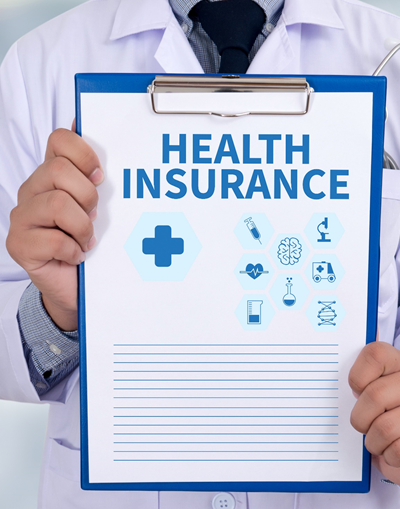 The following states make some special provision concerning small employers and health insurance: California, Connecticut, Illinois, Iowa, Kansas, Maine, Massachusetts, New Jersey, North Carolina, Oregon, South Carolina, Tennessee, Wisconsin and Wyoming. Until more laws are passed, what can a small business do? There are ways to cut costs without cutting into your employees’ insurance plan. A growing number of small businesses band together with other entrepreneurs to enjoy economies of scale and gain more clout with insurance carriers. Many trade associations offer health insurance plans for small-business owners and their employees at lower rates. Your business may have only five employees, but united with the other, say, 9,000 association members and their 65,000 employees, you have substantial clout. The carrier issues a policy to the whole association; your business’s coverage cannot be terminated unless the carrier cancels the entire association. Associations are able to negotiate lower rates and improved coverage because the carrier doesn’t want to lose such a big chunk of business. This way, even the smallest one-person company can choose from the same menu of health-care options that big companies enjoy. Associations aren’t the only route to take. In some states, business owners or groups have set up health-insurance networks among businesses that have nothing in common but their size and their location. Check with your local chamber of commerce to find out about such programs in your area. Make sure the company follows state regulations. Does the company claim it’s exempt? Check with your state’s insurance department. Ask the agent or administrator to show you what his or her commission, advance or administrative cost structure is. Overly generous commissions can be a tip-off; some scam operations pay agents up to 500 percent commission. Get help. Ask other business owners if they’ve dealt with the company. Contact the Better Business Bureau to see if there are any outstanding complaints. If you think you’re dealing with a questionable company, contact your state insurance department or your nearest Labor Department Office of Investigations.